Just picked this one up.. had no idea what it was..dec, 11, 2013. Admin Notes : Please take better pics once you figure out what it is . J/K man , that thing is pretty cool . "The Gutsy One" is just a slogan. 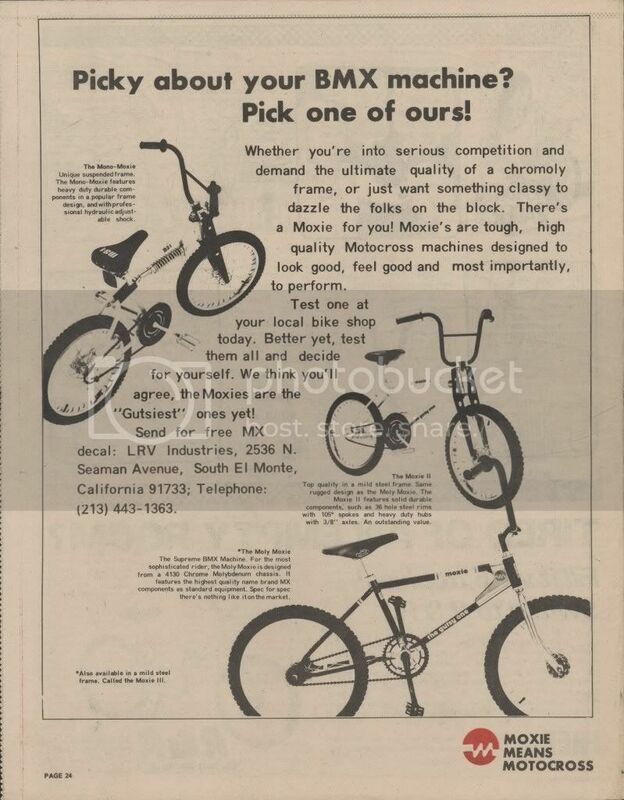 When you bought a bike or frame they would give you a couple of "The Gutsy One" decals. 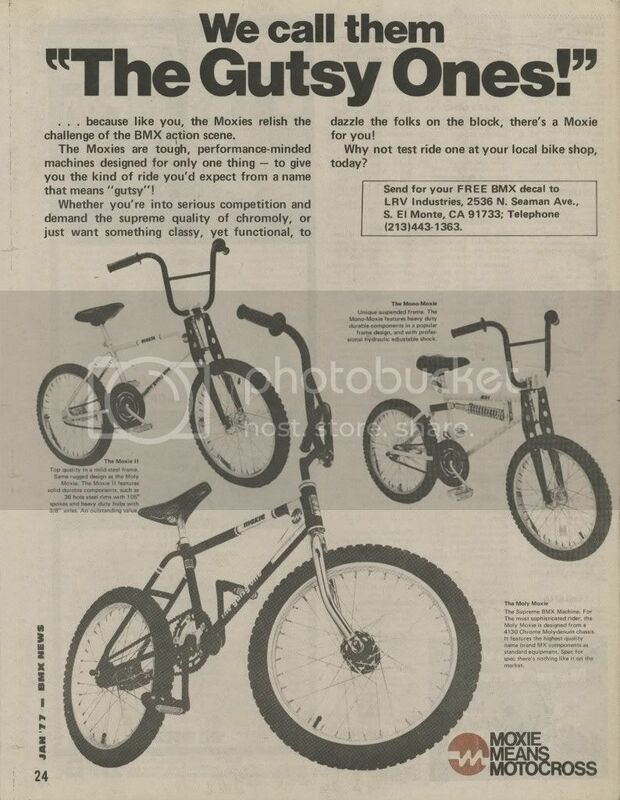 It didn't matter which bike or frame. If the frame weighs around 5 lbs (mild steel) iti's a Moxie II or Moxie III depending on the parts used. 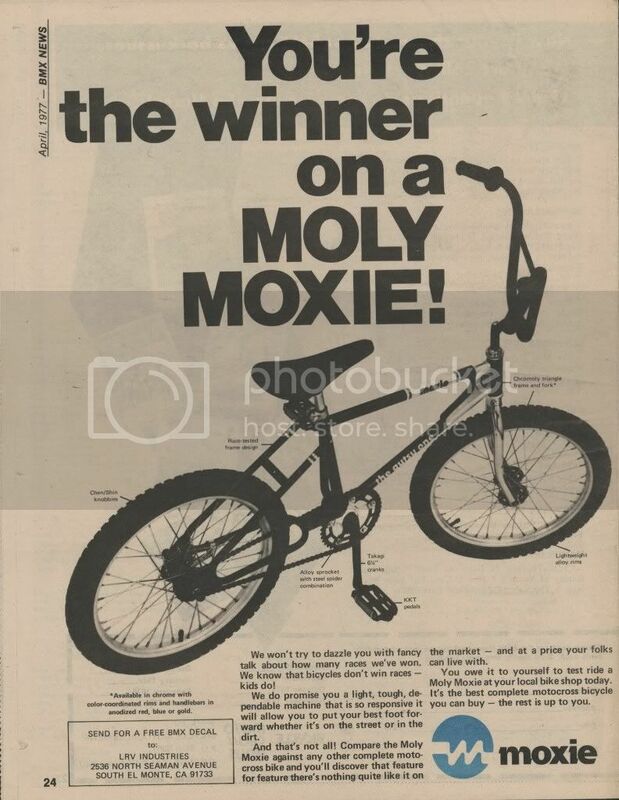 If the frame weighs closer to 4 lbs (ChroMo)then it's a Moxie IV or Moxie V. The chromo frame was sold separately as the Moly Moxie so I assume that you could buy the steel frame as well. 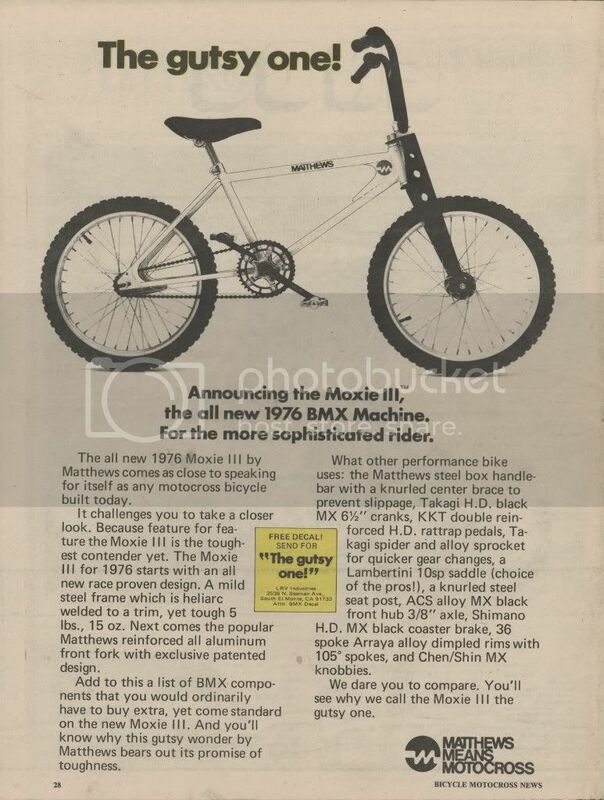 The Moxie II had the same components as the MS-1 monoshock. 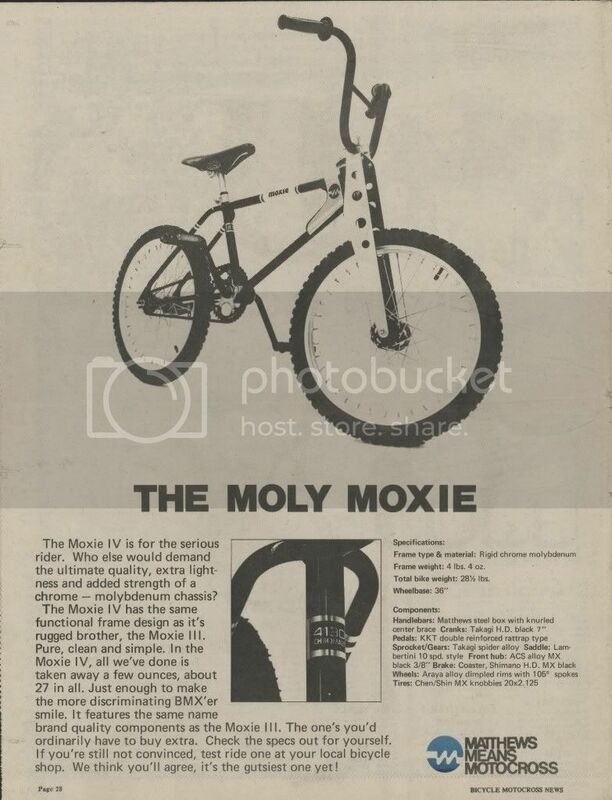 The Moxie III had the same upgraded components as the Moxie IV but with the steel frame. 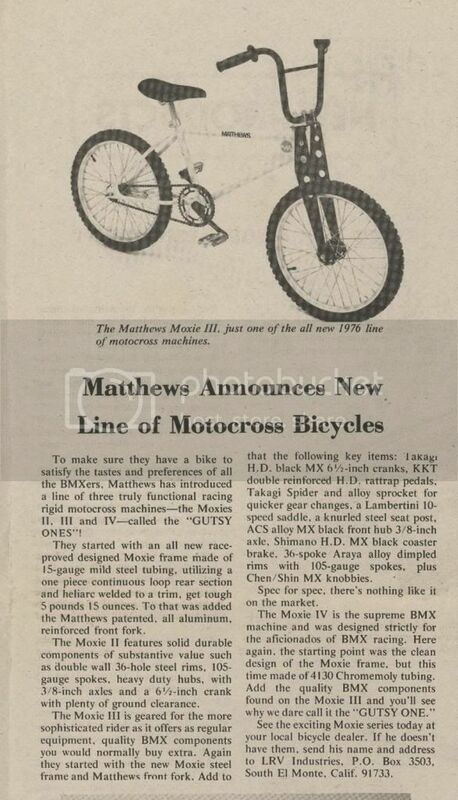 The Moxie IV is the same bike as the Moxie V (upgraded parts) but the IV has the girder and the V the LRV fork. Man you aint lyin!Thanks for the scoop on that guys.My buddy had the mono shock back in elementary school and I was always jealous. 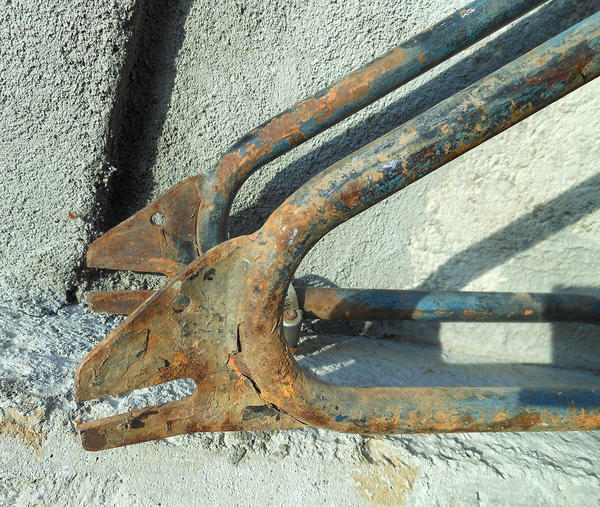 And to think I passed on some girder forks, thinking I would never find the frame.. hmm.. may have to start looking again. Although the forks on it seem to have been in the bottom of the river for a few years with the frame? same "patina"
Think I will leave it Survivor for now! would be tough to match the OG finish!! Weighs in at 4 pounds on bathroom scale. Looks like those two fish heads aren't talking to each other right now! 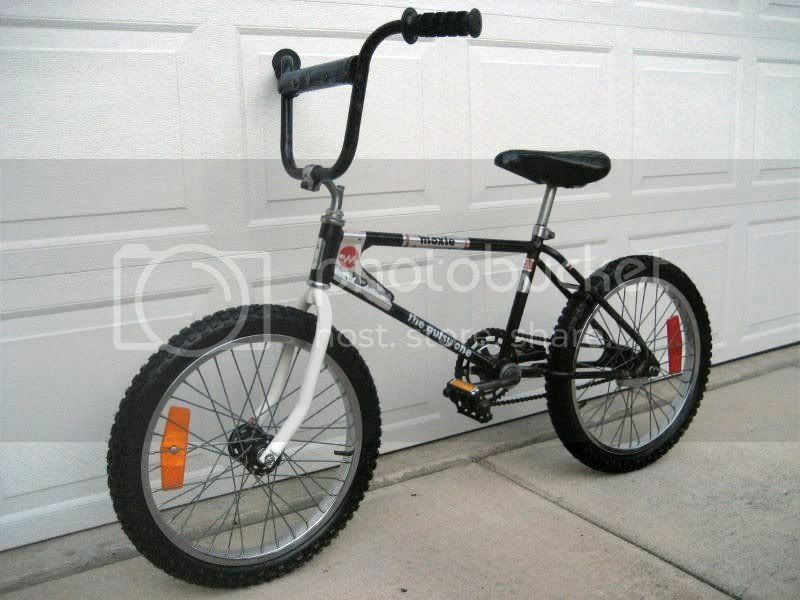 In ten years I've only seen four of the ChroMo frames and they were all black. 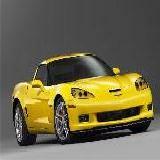 All images or ads I have also show only black. Since your frames weighs out and appears to have been black in at least one of it's finishes you can be pretty sure it's the IV/V frame. Here are my IV and V bikes. The V is not quite finished. Still chasing a couple of parts. 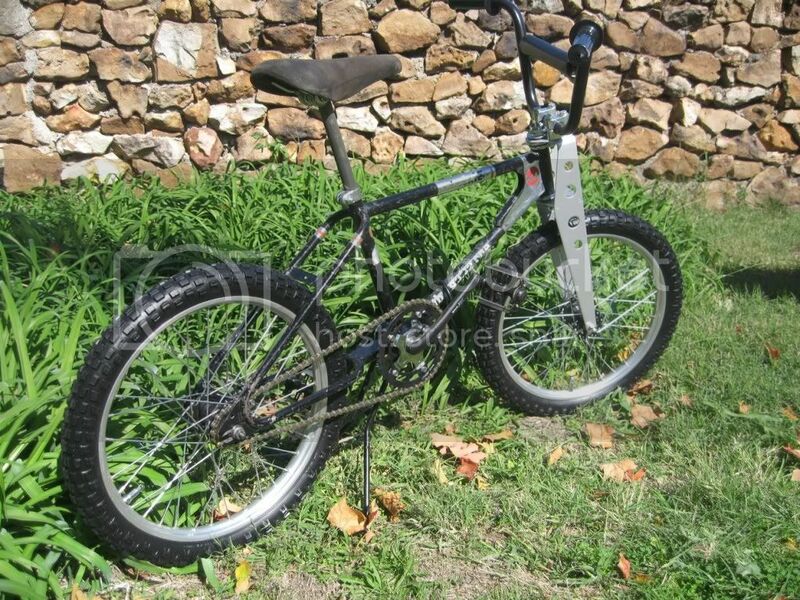 Yeah, would love to find a girder fork for it, might build it then..
Hey GAry where are the serial numbers located on your frame?